Yager Materials operates four ready-mix concrete plants in Western Kentucky, supplying top-quality concrete for any application. We deliver quality concrete to projects both large and small. We produce different types, strengths, and compositions of concrete. For decorative appearance we make concrete with integrated color. Select from pure white to various reds, blues, browns…almost any color you can imagine. As one of the leading concrete providers in the region, Yager Materials has supplied commercial projects as well as residential. In addition to private sector projects, Yager Materials has delivered concrete for numerous public projects at the local, state and federal level. 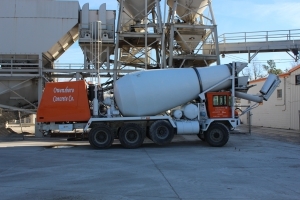 With plants in Owensboro, Beaver Dam and Hawesville, we can get our concrete to your project.